Do you like Basket Monsterz? Share it with your friends. 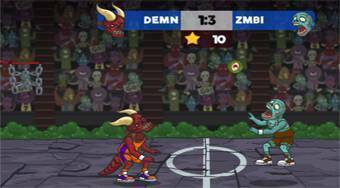 Basket Monsterz is a great sports game where you play somewhat unusual basketball tournament. Choose one of the monster teams to offer and then play. In each match, hit the basket in the form of an eye and try to shoot 11 points before your opponent for victory.